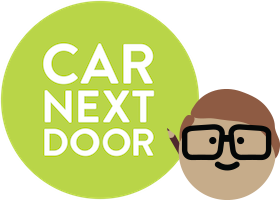 When you borrow cars with Car Next Door, you’re covered by our comprehensive insurance policy. If you’re responsible for damage, the most you’ll need to pay is your Damage Cover Liability (DCL) amount. If you’re responsible for any damage to a car you borrow, you’ll just need to pay your Damage Cover Liability (DCL). The DCL works like an insurance excess, capping the amount you’ll need to pay if you are responsible for damage. As with all insurance policies, there are some exclusions to the cover. These include driving off-road or to the snow, towing, and driving more than 500km from the car’s homezone without permission. You'll have the chance to reduce your DCL when you book a trip, or you can switch to the Heavyweight plan at any time. Accidents can happen to even the most careful drivers, and you’re responsible for any damage that happens to the car while you have it, including things like the car being sideswiped while parked or damaged in a hail storm. If damage is discovered after your trip and you can't provide us with photos showing it did not occur during your trip, you may be liable and responsible for the cost of repairs.